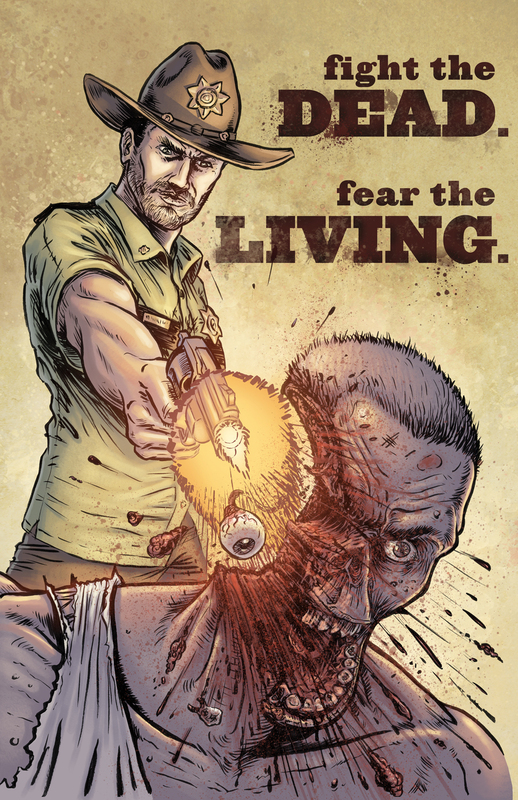 Lat notice, I know, but I wanted to post this piece of Walking Dead art I did. I drew this awhile back but only just got around to coloring it after finally catching up on the s3 finale last week. And then my brother, Scott Garland, came in to pinch hit on the text. He’s got mad skills if you’re in the market for a graphic designer. I’ll have a few prints of this at River Road Expo tomorrow. So come on down, say hi, and pick up a copy!